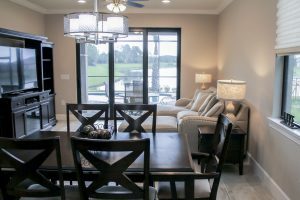 Spectacular 3bed/3bath 2017 Steele Creek model-like home located on a premium water front lot in Del Webb’s Lakewood Ranch Community now available. You can have the the lifestyle you want with the view you desire. No detail was missed in this exquisite Florida style home with outstanding upgrades evident throughout. Situated in a cul-de-sac next to a preserve, this home provides a perfect place to relax with a scenic water view. The open floor plan offers a seemless flow to the outdoor living area poolside. Sunrise water views are enjoyed throughout the living area and Master Suite. This home is designed with beautiful flooring, crown molding and hurricane windows. 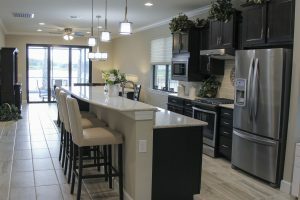 The kitchen features elegant lighting, upgraded cabinets, gas and stainless steel appliances. The Master Suite and guest room are on the first floor. Upstairs you will find a bedroom, full bath and media area. Within the Master Suite key features include a tray ceiling and a custom designed closet system. 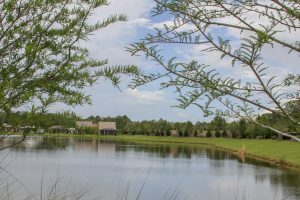 This home is located in a 55+ active community within the Master-planned community of Lakewood Ranch. Enjoy the vast amenities and activities including tennis, resort style pool with lap lanes, social clubs, dining, and a fantastic club house with a Lifestyle Director. Information provided are estimates and obtained via public records and provided by seller. 16611 Blackwater Terrace 34202 Lake front living. Contact Margaret Lanier, Florida Premier Real Estate Broker, today for your private viewing. 941-737-1417, margaret@flprealestate.net.